♦ Dagatalið: Í tilefni dagsins: Ég flaggaði auðvitað þótt ég kæmist ekki á Austurvöll til að fylgjast með forseta og forsætisráðherra … hipp húrra! Í fánastöng við hæfi! Annars eyddi ég megninu af deginum niðurrignd í rófugarðinum. Það var afar þjóðlegt. Og það ku hafa rignt ámóta fyrir 70 árum. 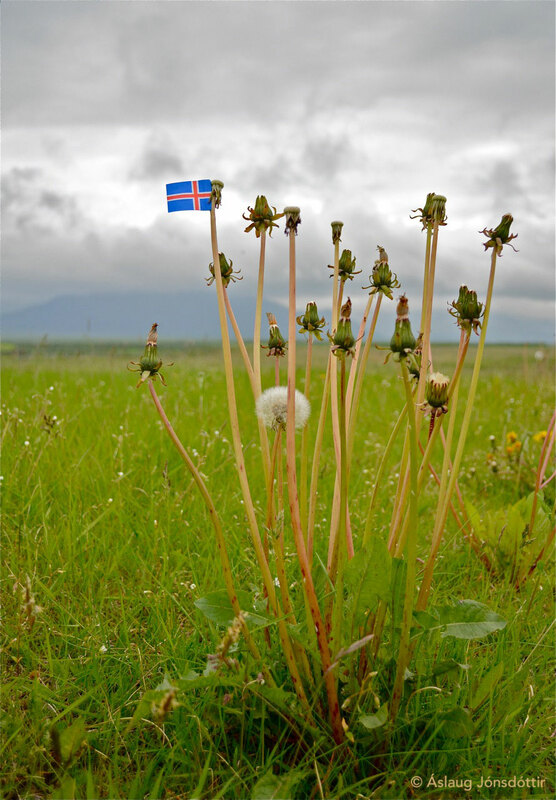 ♦ The Calendar: Today was the National Day of Iceland, with celebrations of the 70th Independence Day. Of course I had to fly the flag! The weather was typical for the day: with pouring rain, and I spent most of it fighting dandelions in the vegetable garden. Very appropriate. 17. júní | Happy Birthday Jón!